To break away from reality and reach a different world is many people’s dream. 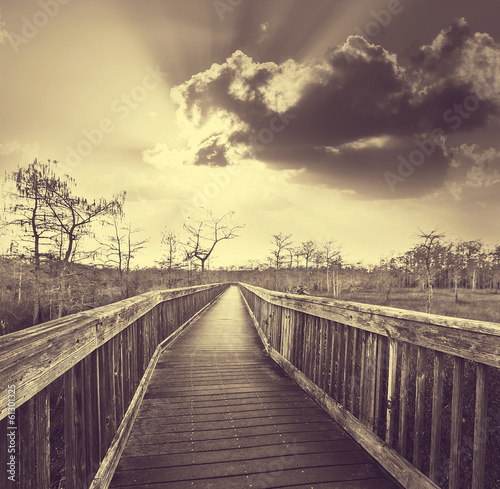 It can be fulfilled by using the photo wallpaper depicting the bridge leading to the unknown. The grey colour adds seriousness and a note of joy to the picture. Sunbeams express hope for a better tomorrow.